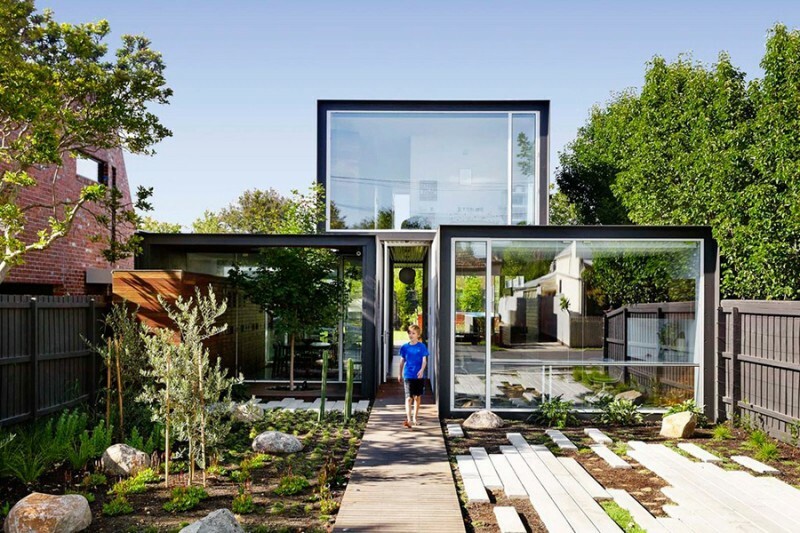 Built on a footprint half the size of its neighboring lots, the family home stacks three volumes on top of each other, emphasizing transparency and openness in its design as a reaction against fortified suburban architecture. 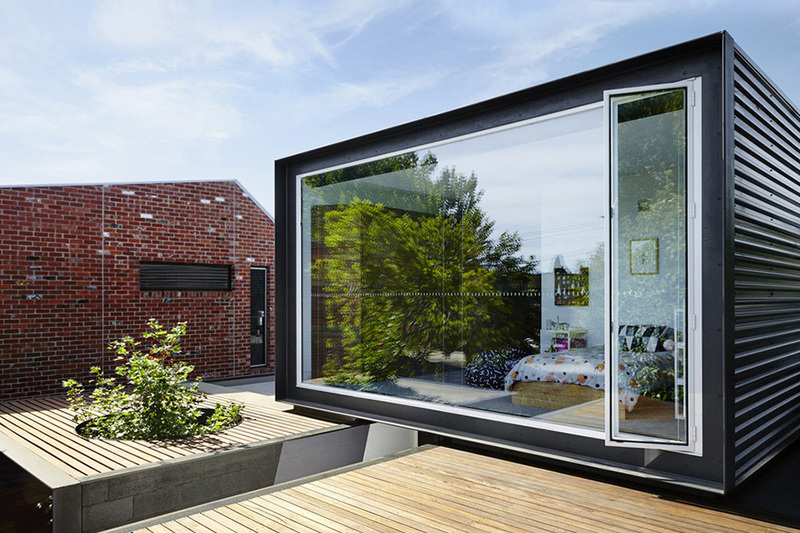 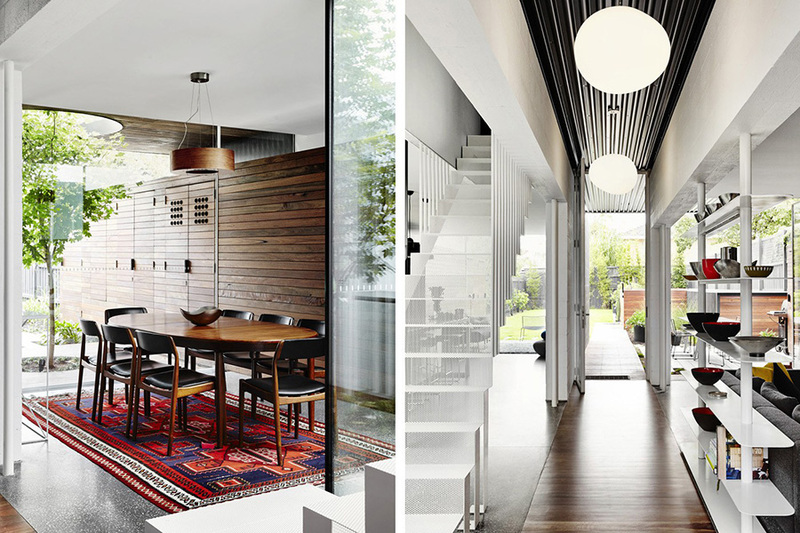 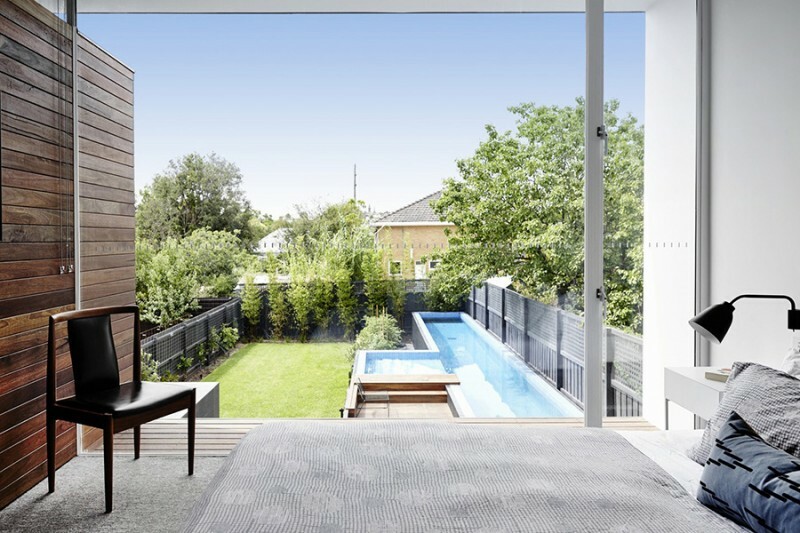 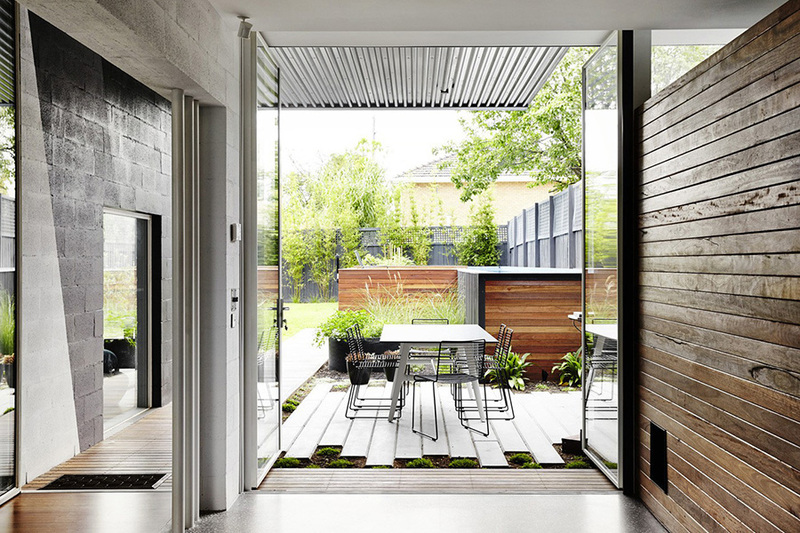 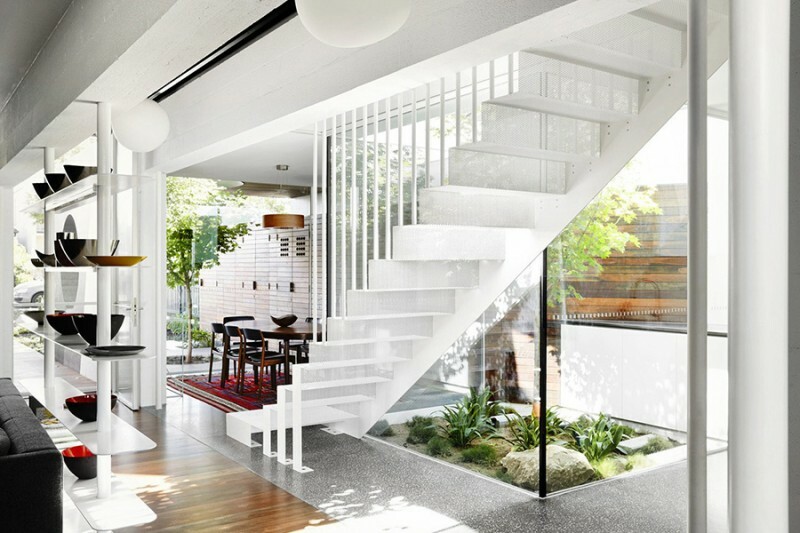 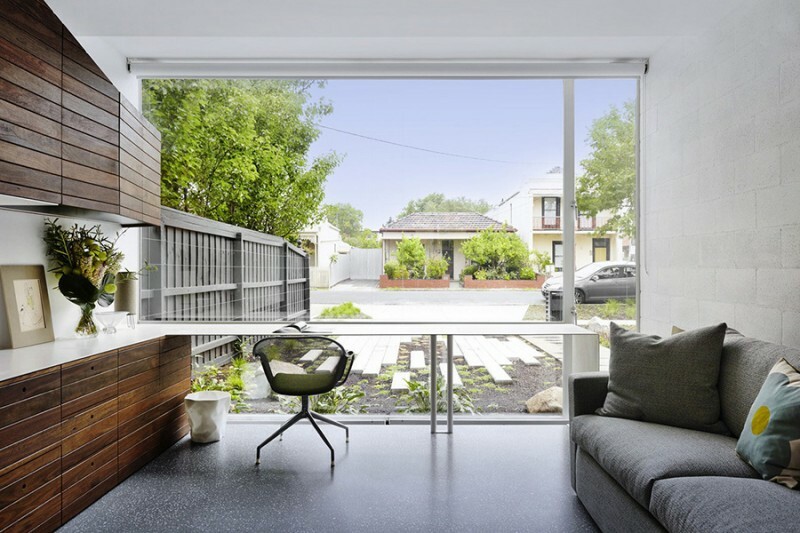 One example is the upward blinds which are pulled up from the floor, thus allowing privacy from the street while still allowing a view of the outside. 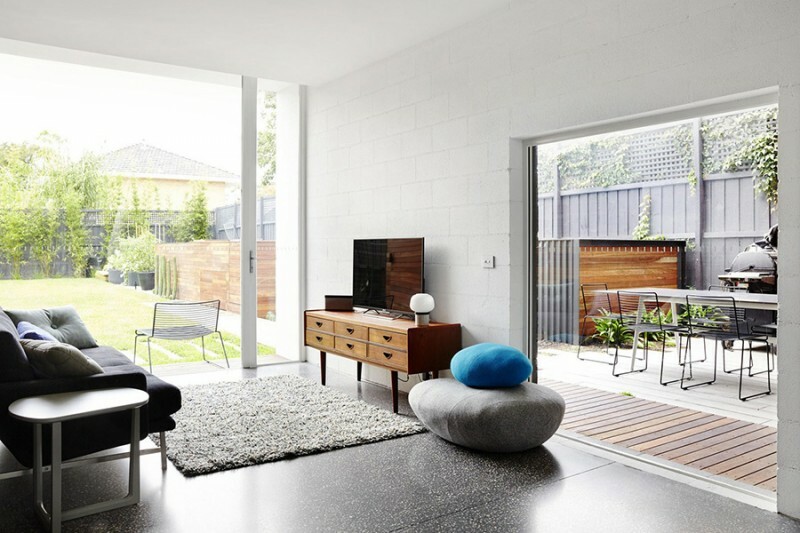 The floor plan is designed for solitude within shared spaces, so that family members can have their quiet time while never completely cut off from the rest of the house. 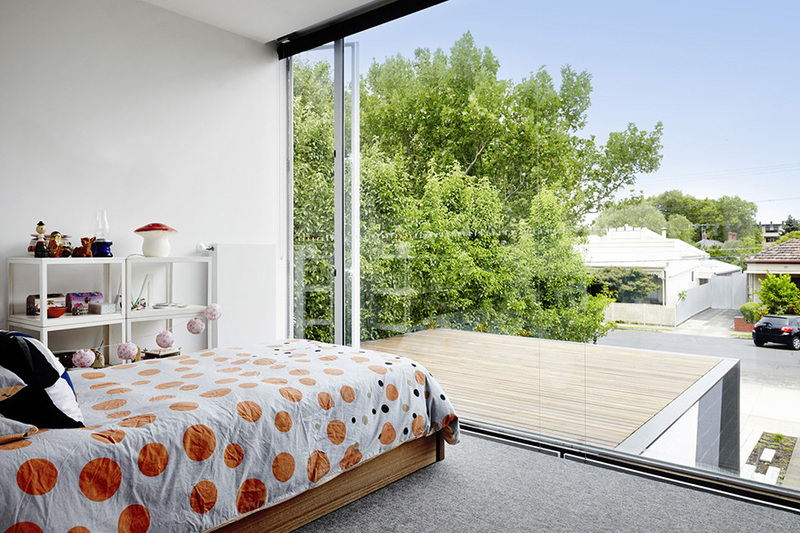 Environmentally-friendly features such as north-facing, double-glazed windows, white roofs, high-performance insulation, solar panels, passive ventilation and rainwater capture reduce electricity usage while maximizing natural light throughout the house. 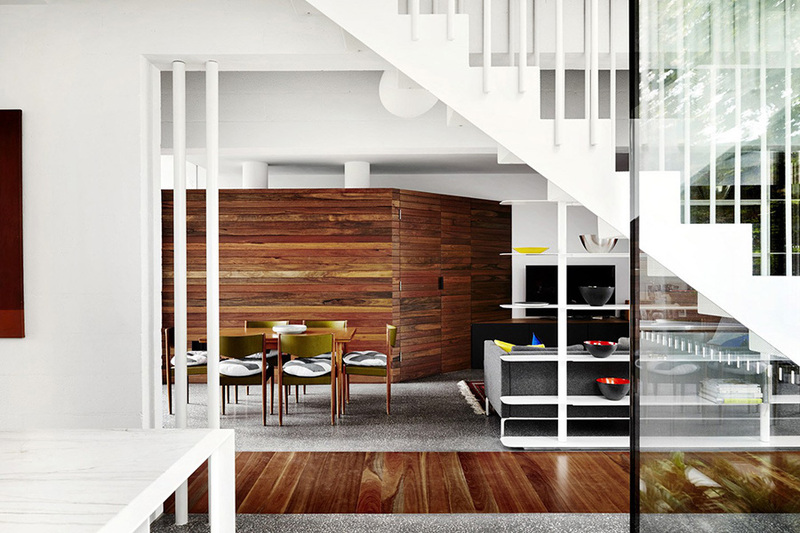 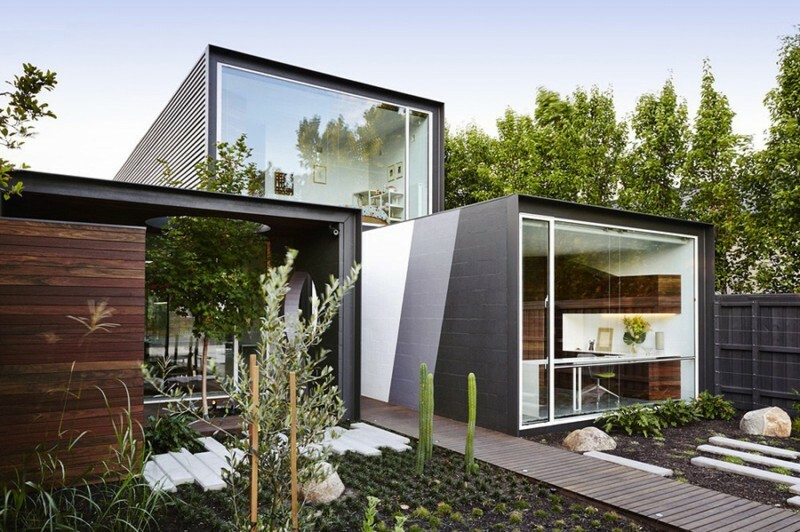 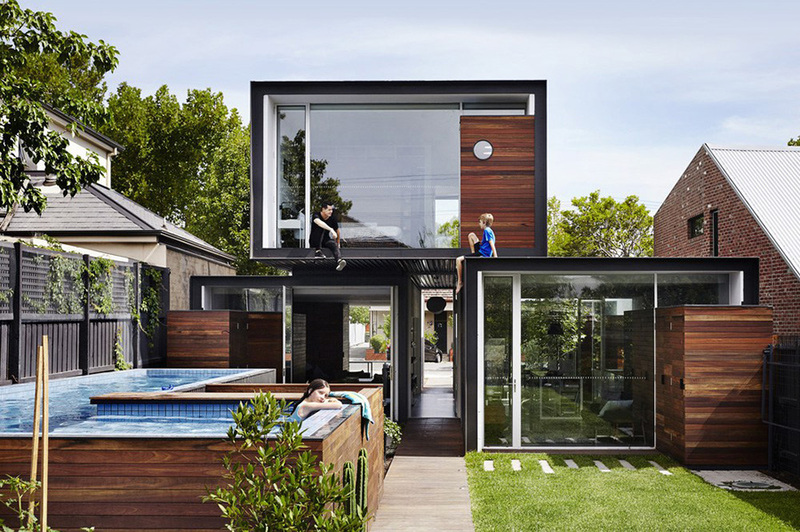 While the architects claim that it is not a “new prototype” for Australian family living, the THAT House indeed makes a step in the right direction.